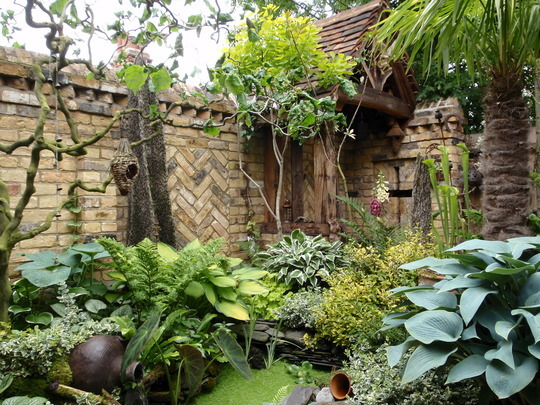 Fabulous use of texture in this planting! I just adore this garden it is so peaceful looking and those plants are amazing - your garden is amazing - have you had your open days yet? Hope it went well if you have. Thank you all vey much for your nice comments. Yes Oliveoil, I have had my two NGS Open Days, they were both very successful. I met a lot of very nice people and made several new friends. I will have some more next year. I thought you must have had them Mossy, so glad they went well. I have been trying to catch up on here for days and days but unfortunately time is limited and most of the stuff I seem to have missed, not going to spend time trolling through months of pictures and messages as I am so short of time but am pleased that your open days went well. Great that you met lots of lovely people and made some new friends. Good luck for next year too. miss this spectacuIar garden, wow!!!! most beautiful Retreat....with the water running would sound silent!!!! Thank you for you very nice comments Nannjii. The Garden will be open for the NGS on 15th and 29th June and 13th July this year from 11.00-17.00hrs, but if you wish to visit at another time, you are more than welcome, just let me know and we can arrange something. What a wonderful peaceful retreat you have there Mossy..Absolutely idyllic..
Have loved looking back at your garden pictures,(this is 2016), particularly like your brick garden boundary wall, oh! and the cloud tree. would that I could sit here for a while!